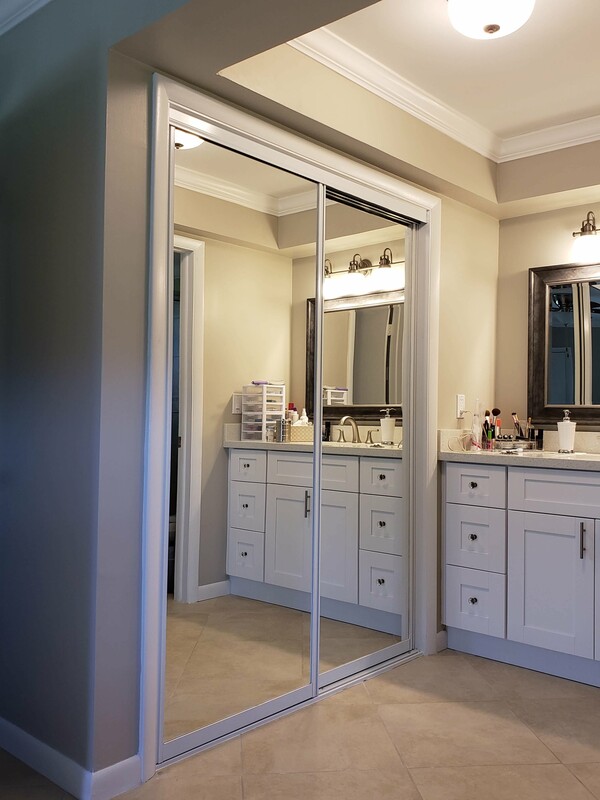 Here is a closet door that we installed with a mirror panel and a white frame. 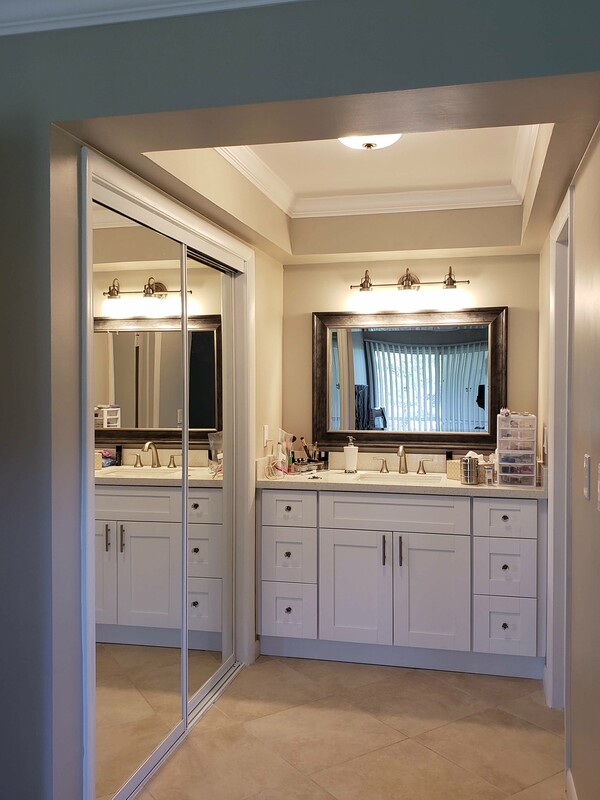 The door looks great with a transitional design, and it has a smooth track slide. 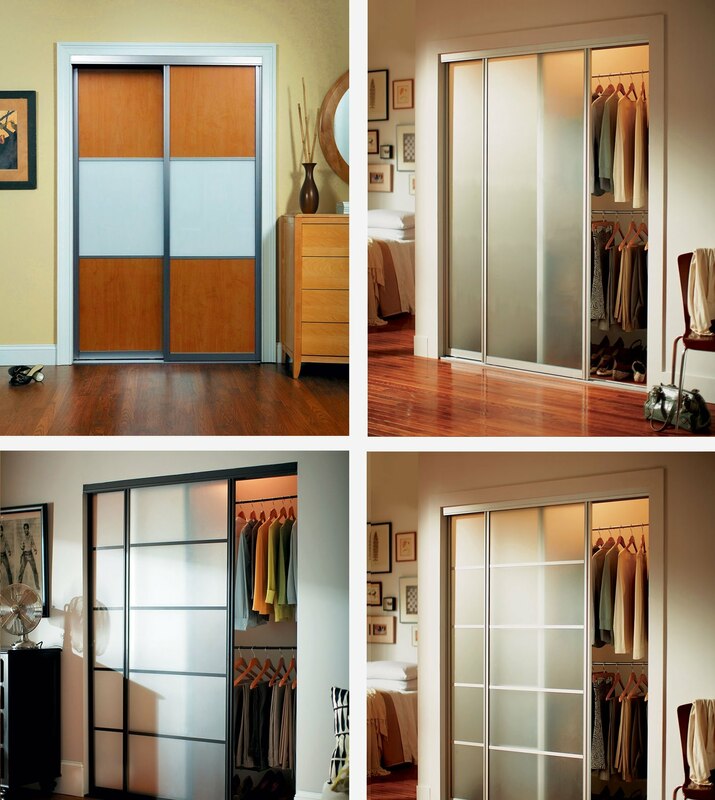 We purchased the door from Contractors Wardrobe and they have a nice selection of closet doors that you can view here.